Google soft-launched a new product yesterday, Fast Flip, that isn't very good. It solves a user problem that doesn't need solving, and does it badly. Yet it received a level of press attention completely out of whack with the reality of the product itself. The product is apparently designed to get the print media out of the enormous hole that has been dug for them by Google itself - the way Google makes it easy to substitute one news source for another. Hence the attention. It does this by presenting the user with a bunch of JPEG screenshots of newspaper or website pages, which you are invited to flip and browse, and by providing no direct hyperlinks from those pages (you'd have to click through to the original article to get to them). That makes it quite hard to drill further into a story. The effect of JPEGs and indirect linking is that pages exist as islands, disconnected from the rest of the web. Sources can't directly be checked. Themes can't easily be followed. Arguments can't be cited or rebutted. Comments can't be added. 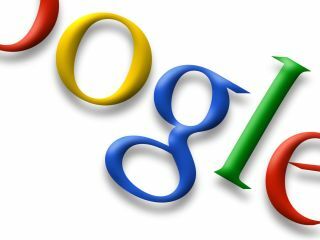 Plus the number of stories accessible through this service is limited to the number of partners Google scrapes together. All the things that add value to a story online, aren't there. What is most surprising is the sheer unGoogleness of it all: the restrictiveness, that use of JPEGs (meaning content can't be indexed or processed), the lack of technical imagination; the disconnection from the rest of the link universe. Google's view is the speed and convenience of browsing JPEGs replicates the experience you get turning newspaper pages, looking for interesting stories. And this provides sufficient benefits over slow loading, inaccessible news sites. But designers have spent over a decade refining website design, because people don't go online to read like that, while faster broadband speeds mean site load times are temporary obstacles rather than strategic opportunities. And even if this ability to browse is a significant benefit, reducing the number of news sources and disconnecting a story from the rest of the web seems a pretty high price to pay for it. A few die hards over the age of 30 who want a print experience replicated online may use it, much as they have grimly hung onto the print experience via e-readers like Zinio. But the generation of people who have come of age online, who have been conditioned to expect stories to come to them, rather than needing to go elsewhere to get them, will most likely give this anachronism a miss.